According to some historical testimony, Leonardo made a marvelous musical instrument: a silver lyre. In an engraving from the last century, we can see Leonardo in the court of Ludovico Sforza presenting an animal skull with chords between its horns. Many interpretations like this one have probably distorted reality. 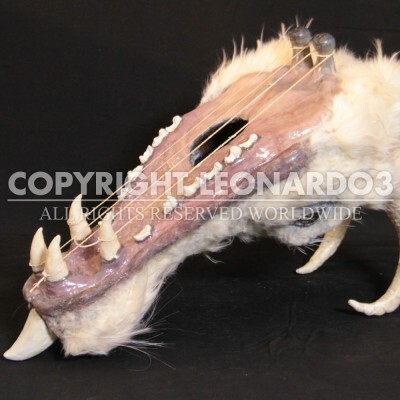 In fact, lyres in Leonardo’s time were much closer to our violin than the harp. On one of the folios in the Codex Ashburnham is a dragon’s head with four chords on its palate, and some have identified this with the design of the lyre mentioned by Vasari. However, the dragon is actually one of several theatrical instruments found throughout two folios and was probably meant for theatrical use. The style with which the subjects on these two folios were drawn and shaded implies that they’re not by Leonardo. 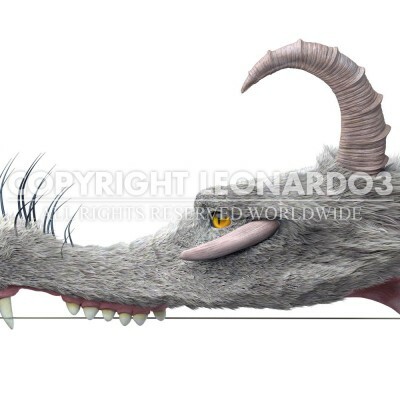 A faithful model of the dragon skull drawing was made in the Leonardo3 laboratory using a horse’s skull as a base. Not only does this instrument not contain any silver but, most importantly, it’s not a lyre. To create the Silver Lyre we would need to use different reasoning and refer to the only clues available.